A university student living in Sydney's trendy inner west with a love for live music, thrifting, vinyl records, and vegan food. 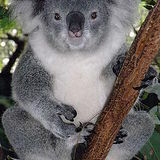 Travel to the Lone Pine Koala Sanctuary (708 Jesmond Road, Fig Tree Pocket) in style with a Mirimar Koala Cruise. The Mirimar II will take you on a tour of the Brisbane River, ending at the largest koala sanctuary in Australia. The cruise departs from the Cultural Centre at 10.00am daily and takes patrons on an hour long cruise of the Brisbane River, arriving at Lone Pine at 11.14am. The journey includes catering, narration from the ship's captain and amazing scenery, like an inner city colony of fruit bats and historic mansions along the Brisbane River. The Lone Pine Koala Sanctuary is two acres of natural bushland that houses koalas, kangaroos, lorikeets, lizards and many more unique Australia creatures. Visitors can hand feed and pet these animals, watch animals shows and presentations, cuddle a koala (or, if you're brave, a snake) and unwind at the Lone Pine cafe. The cruise departs the sanctuary at 1:45pm and arrives back at the Cultural Centre at approximately 3:00pm. The Mirimar Koala Cruise costs $55 for adults, $33 for children and $160 for a family (two adults and up to three children), which includes the return trip cruise and entry to Lone Pine. You can book your trip and download a map of the sanctuary on the Mirimar website.